We offer services for all ages. This sport is geared for people who want to lose weight, get in shape, compete, or just train to learn the fundamentals of Muay Thai. We are as authentic as it gets. Since joining NJMT, I've lost more than 10 pounds and have increased my stamina and flexibility - and this in the first couple of months. People are friendly and instructors are always around for assitance and pointers. Looking forward to many more months and years at NJMT. 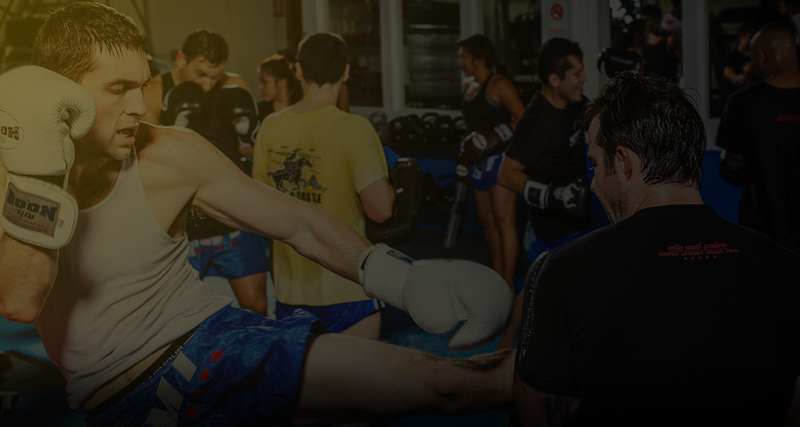 NJMT provides everything you could ask of a muay Thai gym. Their traditional technique combined with modern training is an excellent combination. Whether you are training for fitness or competition, their knowledgeable staff is there to guide you. As a long time student of the martial arts, I can say this gym is of the highest quality. Muay Thai...one of the most hard working martial arts, practiced and originated in Thailand. It's also known as "The Art of Eight Limbs." In North Jersey Muay Thai, the training can be brutal, but fun all at the same time. Ever since I started Muay Thai, I felt more confident and I felt better everyday emotionally and physically. In the gym I can let loose and train, focusing to better myself and learning from the coaches who have years of experience. Everybody in the program is so friendly, that it's like a brotherhood, and that's one of the many things I love about the North Jersey Muay Thai facility. Although it's only about my 4th week, I already lost almost 10-15 pounds because I worked hard, I train everyday, and I start to eat right and drink plenty of water. I hope that even if I go to college, I can still attend NJMT and one day participate in a fight, especially at Thailand. After a year long hiatus from Muaythai and struggling to find a gym that offered authentic training, style, and tradition, I came across NJMT. This was back in April of 2007. I have been part of the NJMT family ever since. Because of everyone under the NJMT umbrella; my coaches, fellow fighters, and gym members alike, my knowledge and love of Muaythai as a sport and as an art has grown tremendously. Not only was I able to get into the best shape of my life physically as well as mentally, but I have also had the privilege to step into the ring, write regularly for an international Muaythai magazine, and travel to Thailand annually to train at top gyms with world class Champions. The training and skills I have learned at the gym have carried over to other aspects of my life as well, such as work, relationships, and family. During this process I have discovered many things about myself and what a person is capable of achieving. If not for the efforts of those at NJMT, I can honestly say I would not be where I am right now. I have found one of the few places where for a few hours of the day all problems seem to fade away. A place where goals are set and dreams are lived, no matter how simple or extreme. I began training at North Jersey Muay Thai on August 26th, 2008. Since then, I have lost 35+ pounds, improved my overall flexibility, eradicated all unhealthy lifestyle habits, and formed friendships with some truly incredible people. The hard work, discipline, perseverance, and respect (both for self and others) required to practice authentic Muay Thai have taught me more about myself and the range of my capabilities than anything I have experienced a priori. It is now nearly a year later and I have continued returning to NJMT at least three times a week, but I am not sure that my love for the sport would be as strong if not for the extraordinary people that comprise the gym's heart and soul. From my first day at NJMT, everyone I have encountered, trainers and classmates alike, have been nothing less than patient, courteous, encouraging, inspirational, and respectful. As I'm sure anyone who has trained under Ray Cruz or Joe Bumanlag will attest, the bricks and mortar make it a gym, but the people make it a sanctuary. I highly recommend NJMT to anyone looking to broaden their horizons, push beyond plateaus, exceed self-imposed limitations, discover their indomitability, align their minds and bodies, or simply lose a few pounds for bathing suit season. We had decided to have Justin join the NJMT program due to the fact that we were impressed by how the place was being managed, from the program that was offered and the outstanding instructor’s teaching skills. We also like the professionalism of the school where we can clearly see that the school’s objective is more on the student’s learning first and business only comes next. 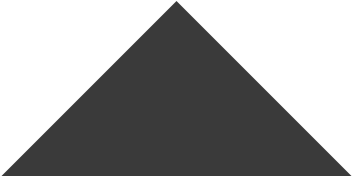 We live about 9 miles away and there are numerous martial arts school surrounding our area, but how they were run would not even come close to what NJMT has to offer. What Justin learns from the school is simply worth the trip. Is one required to compete or spar full contact as a beginner? No, fighting in sanctioned events is a personal decision and is at the discretion of the coaches for one to compete. 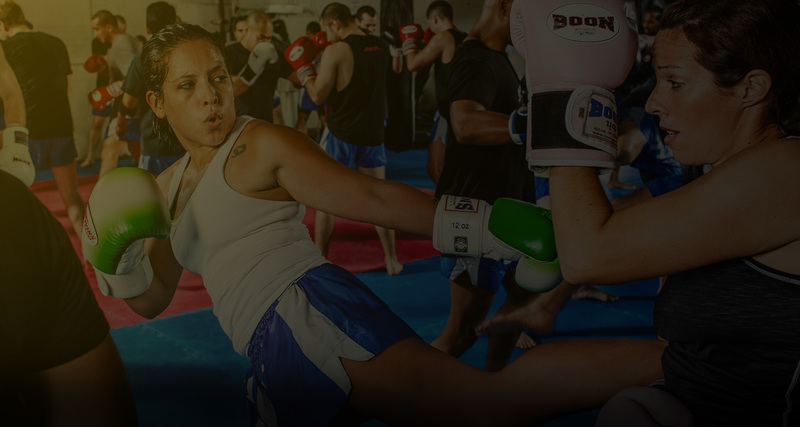 95% of our clients are training for fitness and to learn authentic Thai boxing. In class, permission to spar is only given by the coaches after the student has shown that he/she knows correct defensive and offensive techniques. Again, sparring is not mandatory but is encouraged. Is there an initial fee and/or registration fee before you start? No, you just pay for the membership time frame that you want and start training. How different is the training in Thailand to North Jersey Muay Thai? 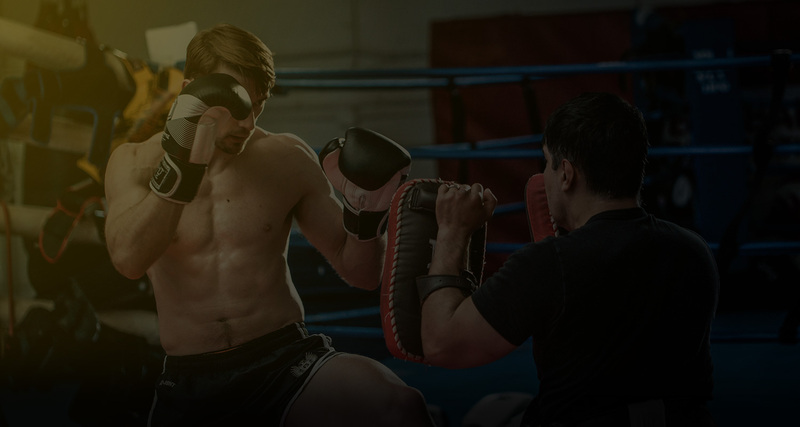 The class is slightly modified to account for multiple students, however we follow the same type of training regimens and training mind-set that a typical Thailand Muay Thai camp would offer. We have sent over 25 people to Thailand to train at prestigious camps, and they have relayed to us that the training they received here at NJMT prepared them for the training in Thailand. Are the Coaches and Trainers qualified to teach Muay Thai? All of our coaches and trainers have fought and/or have trained in Thailand.